I remember the first time I cooked rice. It was my third semester in Bible college and I was cooking for my roommate and a few friends. My beef tacos were on the menu with all the fixings. I had been chopping the veggies for our tacos when I took a peep at the rice cooking and it was RUINED!! My heart sunk. I was embarrassed! I had overcooked it. There was too much water resulting a big mushy mess. I kept making it like this and didn’t know how or why. I thought I was being careful. I felt I was watching how much water I put in it, what the temperature was, what kind of pan I was using, and what brand of rice I was using. I turned to my mom, my aunts, and church ladies for advice. They all would respond, “oh, it’s very easy!” I was thinking in my head, ” Am I missing something or am I just not getting it?!”. 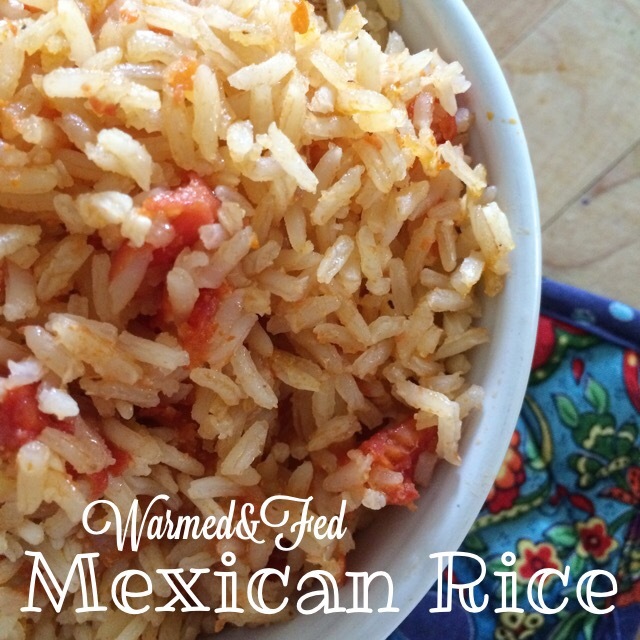 This is when my love/hate relationship started with rice and it went something like this: Burned it! Undercooked it! Not enough oil. Not enough water. Too much water. Too much salt. I forgot to put salt. There was a time when my husband and I were dating, he came to my hometown for the first time. I had cooked for him and I actually sent my little sister to secretly buy the rice at a local restaurant. I. Gave. Up! Well not completely. I just didn’t cook it for anybody other than my sisters. When we got married, I just would apologize before the rice was plated. 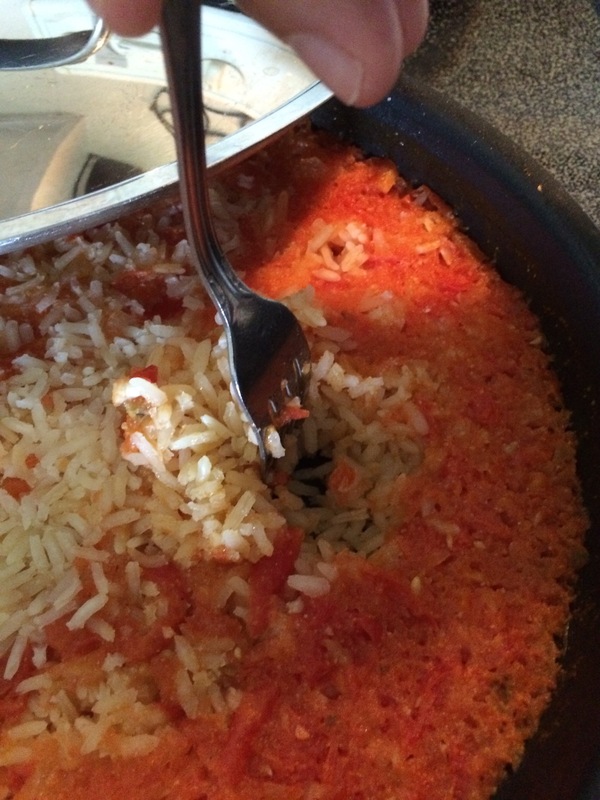 My husband was supportive and he would gently share his opinion of my rice. But today! Today was victory! I had my ingredients and the necessary time to attempt one more time. This time my method was semi-different. 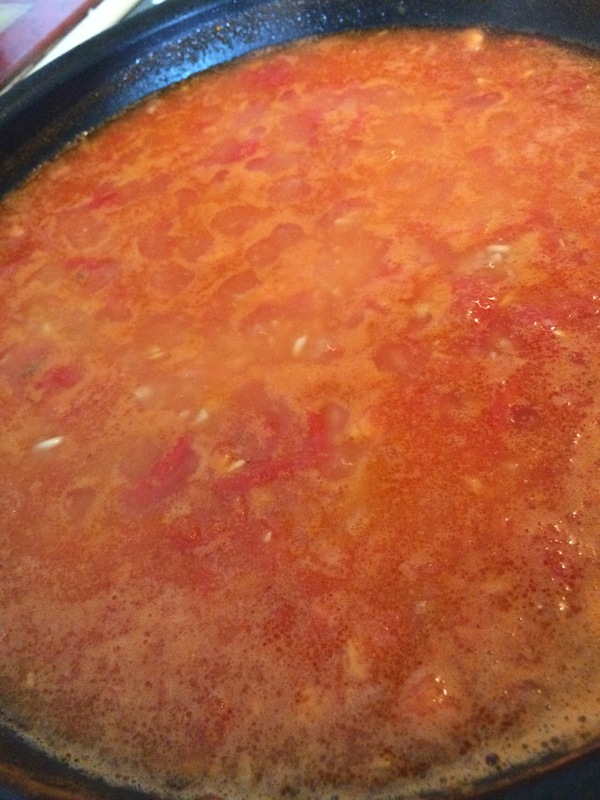 In a medium sauce pan over medium-high heat, cook Roma tomatoes, onion, and garlic cloves in 1 1/2 cups of water. Bring to a boil and cook until tomatoes have softened a bit. 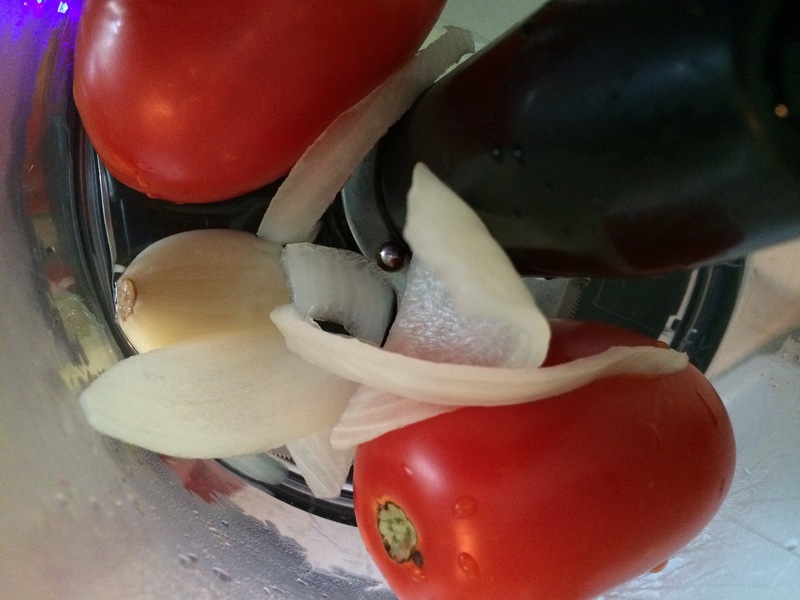 Transfer the tomatoes, onion, garlic cloves to a food processor. Add half a cup of the cooking water. Season with salt and mix to a watery purée. Set aside. In a sauté pan, heat olive oil on medium heat. 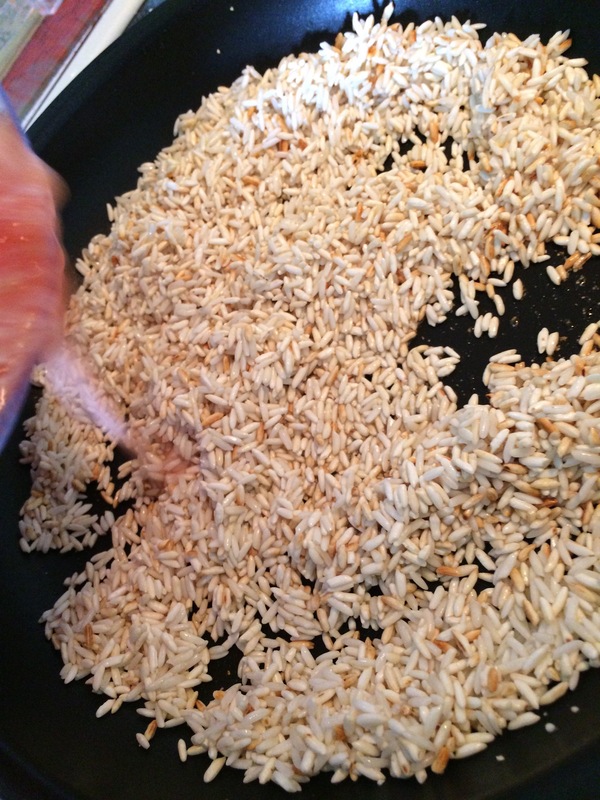 Toast the rice until it has reached a bold white color and then a light brown color. Pour the tomatoes purée in and stir gently. Add the garlic powder. Stir once all around gently. Do a taste check. Add more salt if needed. Reduce to a low heat (Between 2 and 3) and cover. 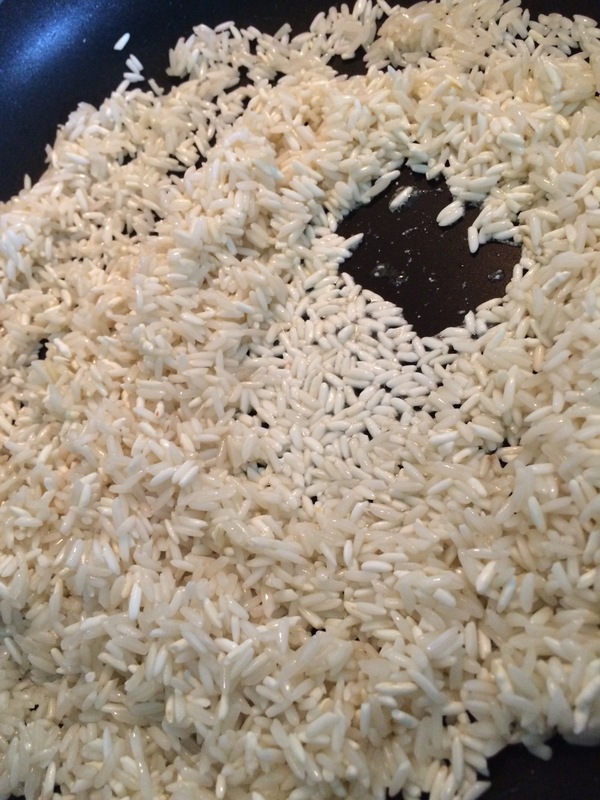 Allow the rice to cook for 22 minutes. During this time, it is important that you do not open the lid. When time is up, check the bottom of the pan for water with a fork. Remove from heat and uncover the pan. Allow to sit for 5 mins. Gently place in a serving bowl. 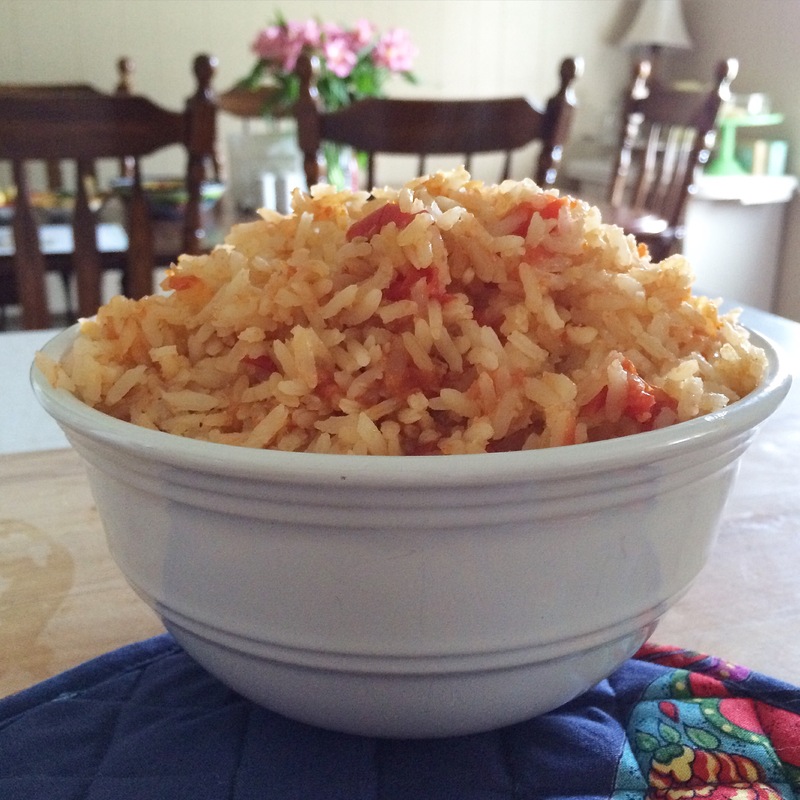 This rice pairs great with pinto beans. My mother would add it at the bottom of Caldo de Pollo (Mexican Chicken Soup) or Caldo de Res (Mexican Beef Soup). If you need any tips about this side dish, I would be happy to help. Place your question below in the comment section or email me at elizabethray@live.com. I look forward to trying this! It looks great. Thank you! Let me know how it turned out.